If there's anything that can brighten up your morning jog, then a game of virtual tag with your mates using the latest updated version of the Nike+ GPS app for iPhone is surely it. While running around your local park is surely one of the greatest way to start the day while ensuring you stay fit and healthy, it can be something of a lonely and boring chore at times. The good people of Nike clearly understand this, which is why the new version of the company's iPhone app for runners includes a version of Nike+ Tag. If you have already invested in the Nike+ GPS App (£1.19 – via the UK iTunes Store ) then Nike's latest update is free. The game is essentially a virtual version of schoolyard favourite 'tag' in which you have to compete with your mates to run faster, longer and earlier than them. After a run, a Nike+ GPS App user is prompted to Play Tag, which involves inviting your Nike+ friends and contacts into a game. 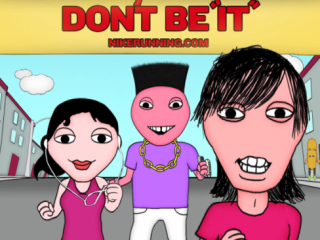 The user can then set their chosen rules for the game of virtual tag, based upon distance (the one who runs the least distance is 'it'), time spent running or time of day that you head off for your jog (the earlier the better, essentially). The Nike+ GPS software uses your iPhone's GPS to gauge your exact location, speed and distance ran.